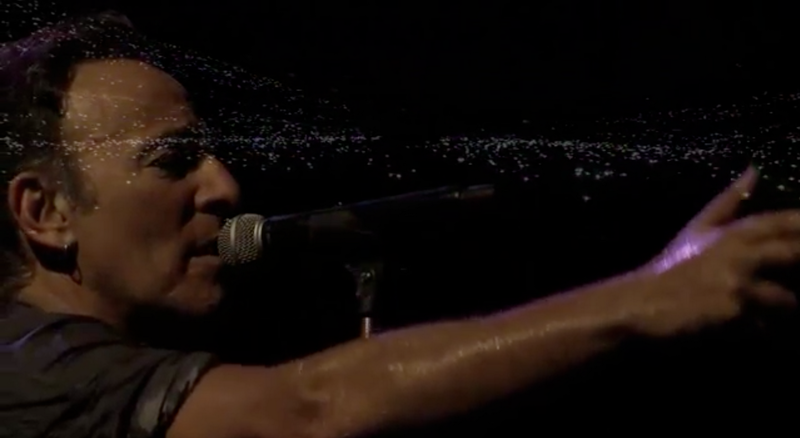 Video: Bruce Springsteen and the E Street Band perform Drive All Night in Gothenburg, Sweden on July 28, 2012. Tonight, July 31, 2012, in Helsinki, Finland, the indefatigable Bruce Springsteen and the E Street Band just finished one of their most powerful European music tours with the longest show of their career. The show in Helsinki began with an impromptu pre-show set of songs with just Bruce and an acoustic guitar. The show ended not long ago with a run time of just over four hours. This summer, Springsteen and the E Street Band were true American cultural ambassadors as they roamed across Europe armed with searing music and goodwill. The presumptive Republican nominee, Mitt Romney, could learn a thing or two about international relations from Bruce and the band. Video: Bruce Springsteen and Little Steven performing We Shall Overcome in Oslo, Norway, in memory of the 77 Norwegians murdered on the 22nd of July 2011. "Steve and I are honored to be included here tonight, and for all of us who love democracy and tolerance, it was an international tragedy," Bruce told the assembled crowd in Oslo. "I want to send this out as prayer for a peaceful future for Norway, and dedicate it to the families who have lost their loved ones." "Echoing layered fragments from the past," Gregg Chadwick's paintings resemble a "fragile palimpsest," offering "under images that bring forth mysterious fragments" from his subconscious.
" We need to embrace the beauty of Art to grace our lives and hope that the fruit of the Muses will prevail. I maintain that our salvation may lie in the hands of those who embrace beauty, those in whose works celebrate the majesty and purity of life itself." La Notte, my latest painting, was begun shortly after I returned from my latest excursion to Venice, Italy. Venice, poised between sea and land, is a place where light, shade, color, and reflection merge and recombine in the city's watery environment. In this mirrored world, past and present seem to coexist. History’s shadows slide in and out of darkened alleys and slip along narrow canals. The color and light found in the artworks of the Venetian painters Bellini, Carpaccio, Giorgione, Titian, Tintoretto, Veronese, and Tiepolo, seen up close in the city of their creation, is always revelatory. These artist's artworks glow like light upon water. This effect of reflected, sparkling light bouncing off canals, is called gibigiane in Venetian dialect. The liquid nature of transparent oils glowing from within, as if light lived within the pigment, seems to fix this quixotic glow onto canvas. Now Represented by the Sandra Lee Gallery! Four of my latest paintings are hanging in the gallery, including my most recent artwork - West Village Reader (see below). Please stop in to view the art and say hello to Sandra Lee.